RUDEC historically has been able to function primarily through donations. These donations and contributions have mostly come following the invitation of volunteers to Cameroon to further our cause. These volunteers and their families have given their time, expertise, and money to RUDEC to help it flourish. RUDEC has developed the Bee Project to give us a sustainable means of income going forward through the sale of honey. We will also be training interested farmers who wish to learn about bees in our demo farm during practicals. 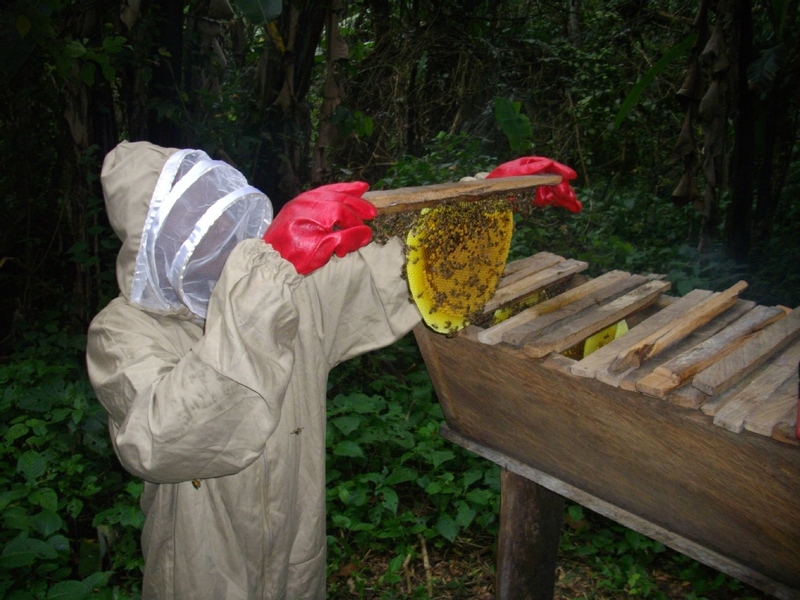 Joshua was a beekeeper by profession before he started RUDEC. He currently has a handful of hives to support himself personally. Because of this, we have a solid expertise and potential way to support ourselves with a lesser reliance on outside donations. This will allow us to support a lot of expenses we incur for our orphans and mothers without having to wonder month by month if we will support them. This project was started some time ago however it was stunted by lack of funding. We have recently revitalized this project and are in the process of searching for land. After running calculations we found that 40 hives would allow us, after all, hives are colonized, to support all of our current yearly orphan expenses plus a bit more. To buy the land (1/2 hectare) and build the hives we will need $2,000. The land purchased will expand into a total of 100 hives in the future which would make us all but self-supporting. In the future, we will use the revenues to buy more farms to produce even more honey. From here we graciously ask for your support to make this project into a reality. Any donation helps as $2,000 is all we need to sustainably support our classes, mothers, and children.